I hope you are having a great weekend. I created Queen Styles Boutique for the woman who has a multifaceted lifestyle. I created Queen Styles Boutique for the young professional woman who needs clothes that she can wear for her new career and out to brunch. Clothes that she can rock to that interview and wear to run errands or out for drinks with the perfect accessories. She is most likely on a budget and needs her money to stretch. I selected these pieces because they are east to mix and match. 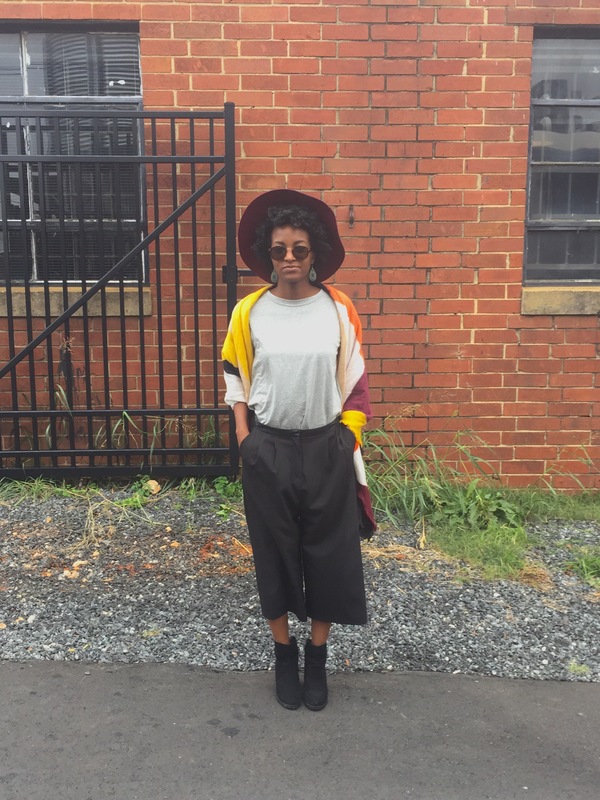 You can dress them up or down like these culottes and grey shirt. This pair was so easy to dress down today. It’s a cold and rainy Sunday in North Carolina which calls for comfortable clothes!